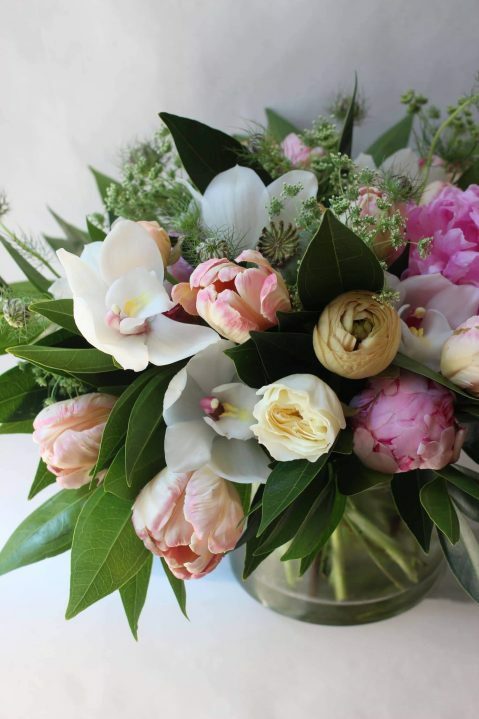 Beautiful variety of pink and white premium blooms such as orchid, parrot tulips, peony and ranunculus with unique seasonal accents. If the blooms listed are not in season our designers will substitute similar flowers of the same value and color. © 2015 Strawberry Fields Flowers & Finds. All Rights Reserved.